This spring, football players vying in an instructional league for a shot at the NFL will be wearing a high-tech helmet designed to protect their heads from the hard hits they’ll inevitably encounter on their hopeful path to the pros. 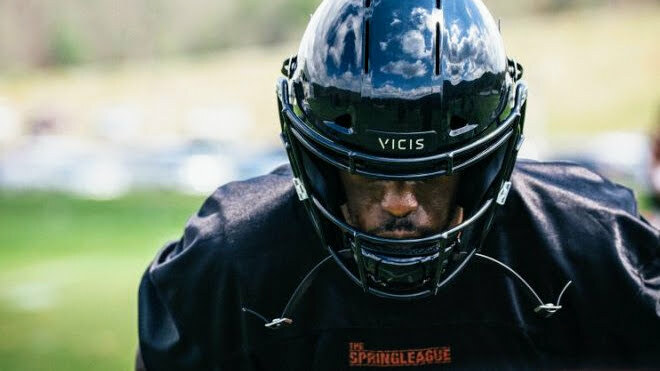 That’s due to an exclusive partnership the helmet’s maker, VICIS, signed with The Spring League. The Spring League is a three-week instructional league that takes place in March and April and provides a platform for pro football hopefuls to demonstrate their skill in front of NFL and CFL scouts. VICIS will provide at least 100 of its Zero1 helmets to the league for players to use during the upcoming season, according to the release.